Three burglars who robbed a 95-year-old pensioner were ordered to watch a video of their victim saying their crime made her suicidal. A judge made Anthony Michael Harrison, 40, Kirsty Ann Parr, 31, and Tristan James Chenoweth, 38, watch the pensioner’s victim impact statement after they broke into her home while she slept in November 2017. 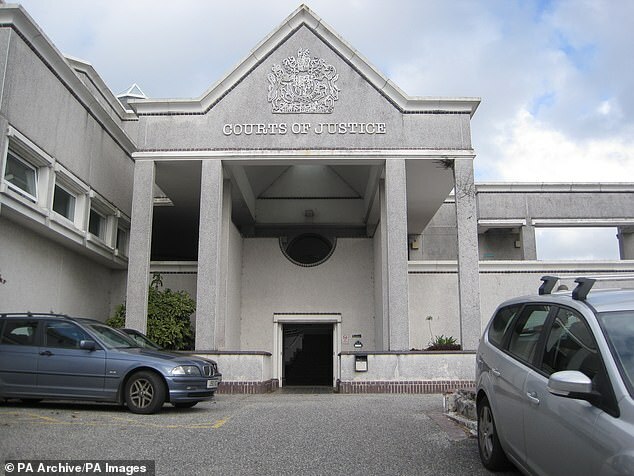 The burglars appeared at Truro Crown Court on January 8 and admitted their various roles in the criminal process. At the hearing, Judge Robert Linford requested the pensioner’s victim impact video be played to the three people who raided her house. He also told them it was important they could see the gravity of their crimes. In the clip, the victim explained how she was born in the house but now feels ‘completely lost’ and wishes she had a knife so she can kill herself. At the hearing, Harrison, who is currently incarcerated at HMP Dartmoor, pleaded guilty to two burglaries in Newquay. 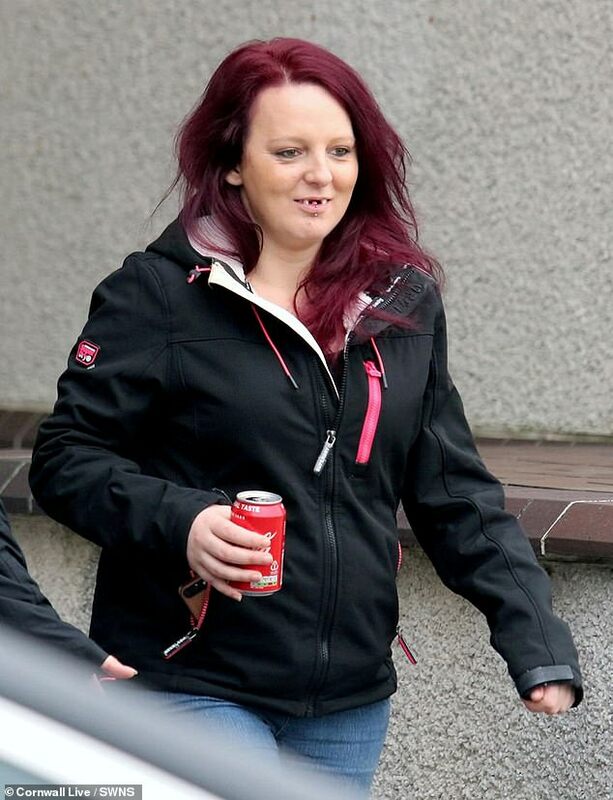 Chenoweth, from St Austell, admitted handling stolen goods and fraud by false representation and Parr, of Newquay, held her hands up to a concealing criminal property charge. The three appeared at Truro Crown Court on Friday January 9 for sentencing and prosecuting barrister Philip Lee said: ‘The 95-year-old burglary victim was at her home in Crantock Street on November 9, 2017, where she had lived for her whole life. ‘Her home was burgled while she was asleep. She woke up at 3.15am and noticed something was out of place. She saw the front door open and then went and did some knitting, waiting for a carer to arrive. ‘It was apparent there had been a break-in and there was a key safe on the floor with the key missing. There had been an untidy search and a purse containing cash, bank cards and family photos had been stolen from under her bed while she slept. Mr Lee went on to explain how it appeared as though the criminals found a PIN number for the bank account and used it to access the pensioner’s cash. 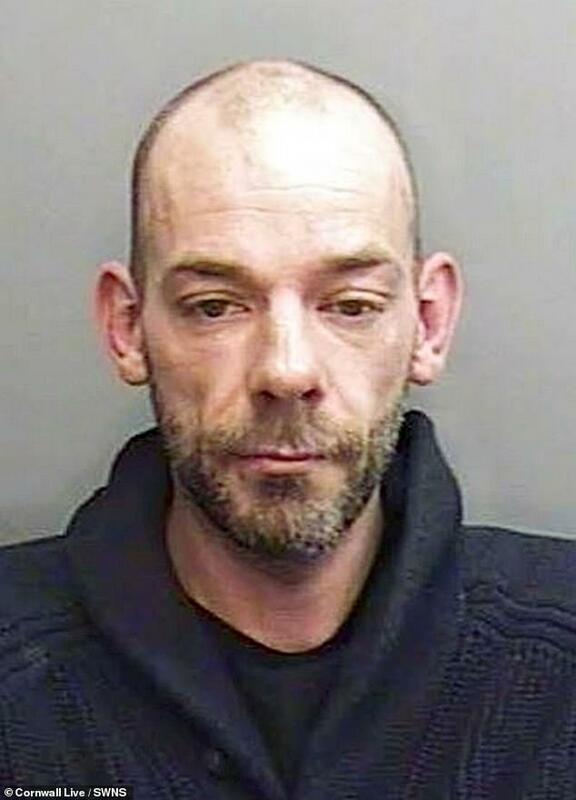 He added: ‘A screwdriver was found on the floor with a DNA connection to Mr Harrison. Soon after, on November 10, two bank cards and a Post Office account were all used in local shops and at cash machines. 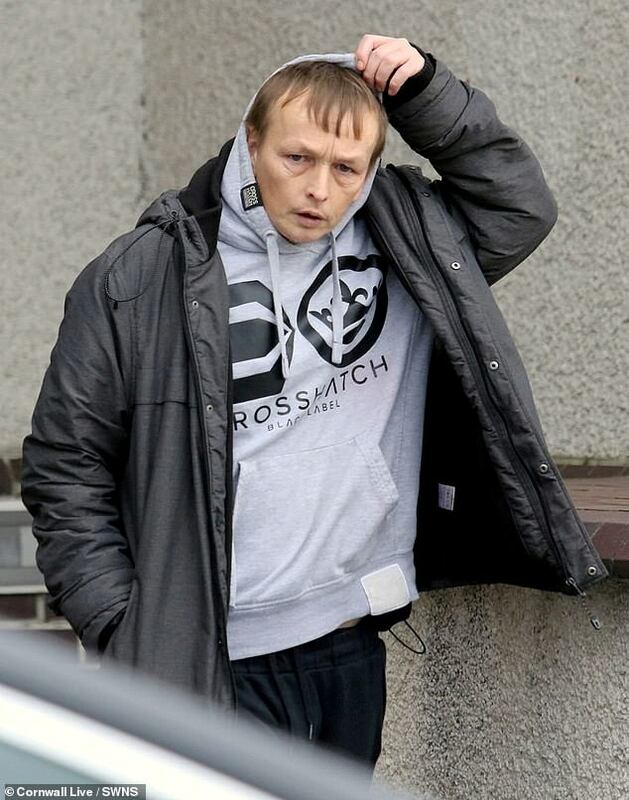 According to Mr Lee, Chenoweth was responsible for taking one of the victim’s cards into Tesco and buying £3 worth of shopping and getting £30 cashback. He said: ‘I showed him the video (victim’s interview) this morning and he was appalled. I could see the colour drain out of his face and he wishes to express his sorrow and hopes an apology will be sent to the victim. He said: ‘The victim is 95 and lived on her own in the house she’d lived in for all of her 95 years. ‘Overnight she was alone asleep in bed when you burgled her home. You took a purse containing bank cards and cash from beneath her bed as she slept as well as very precious jewellery and even ate a small amount of her food. The sentences of the other two are not known.